PC-focused Borderlands fans were, predictably, not thrilled to hear that the third game would be temporarily ditching Steam as a timed exclusive for the Epic Games store. Borderlands 3 will have a shorter exclusive stay on Epic – six months as opposed to the year of previous exclusives – but the negative response has been loud. 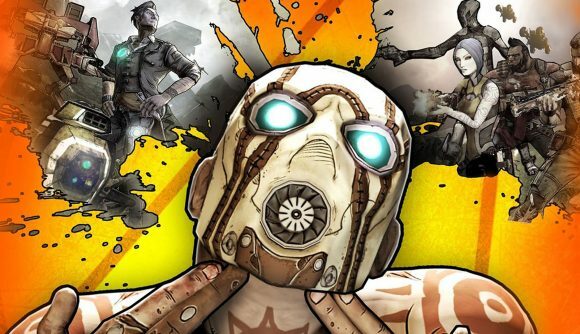 Now, players are dropping negative reviews on previous Borderlands games to protest Epic exclusivity for Borderlands 3. Borderlands 1, 2, and the Pre-Sequel have all been struck with hundreds of negative reviews today, most of them referencing the Epic store by name. Many of them also come with ASCII art of raised middle fingers, just in case the message wasn’t clear enough. The same sort of review bomb happened to the Metro games after Exodus became an Epic exclusive. Those negative reviews were followed up with a positive review bomb to counteract them. A similar thing is happening to the Borderlands games – they’ve seen a roughly equal number of new positive reviews today, many of them referencing the review bomb. A set of leaks ahead of the official news of the Borderlands 3 release date brought an early inkling of the Epic news, and the official announcement earlier today confirmed it. Meanwhile, Gearbox boss Randy Pitchford is adamant that 2K makes the decisions about whether or not Borderlands 3 will hit Steam, and would really like it if you direct your inquiries toward the publisher. On Twitter today, Pitchford did say if Half-Life 3 is announced soon, he “will use all the leverage and influence I can to get our game on Valve’s store as soon as reasonably possible.” He insists he’s not kidding.